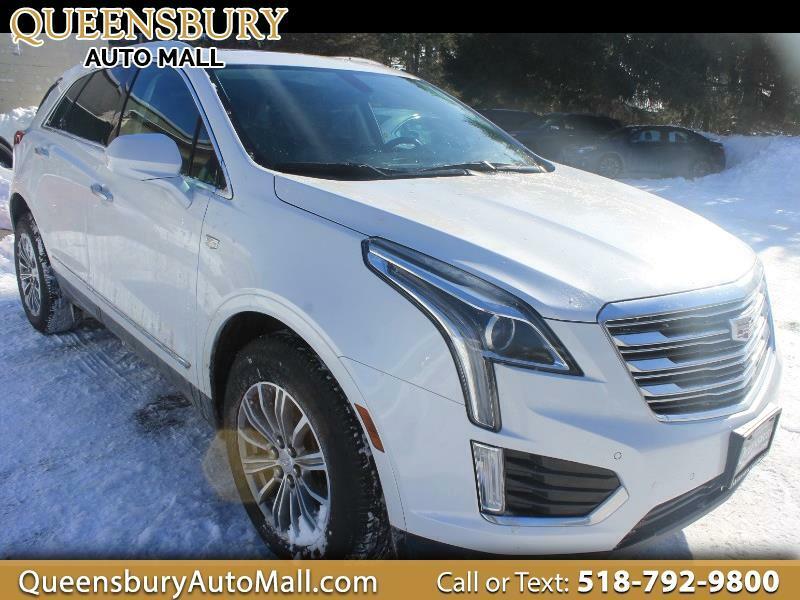 ***AN EYE-WATERING JAW DROPPER COME TO QUEENSBURY AUTO MALL LOCATED AT 635 GLEN STREET IN QUEENSBURY, NY 12804 FOR THIS VERY CLEAN WHITE DIAMOND 2017 CADILLAC XT5 LUXURY ALL WHEEL DRIVE WITH ALL THE FEATURES YOU WANT - TRADE IN YOUR OLD RIDE TODAY AND LETS UPGRADE YOU INTO THIS LIKE-NEW GM LUXURY SUV SPECIAL*** 3.6L V6 DOHC 24V MOTOR! CLEAN CARFAX HISTORY REPORT! ALL WHEEL DRIVE! TILT POWER PANORAMIC MOON ROOF WITH SUN SHADE! HEATED LEATHER INTERIOR SEATING! TOUCH LED HOME SCREEN WITH GPS NAVIGATION SYSTEM! LUGGAGE RACK! PREMIUM BOSE AUDIO SYSTEM WITH AM/FM/CD PLAYER WITH AUXILIARY INPUT JACK, USB IPOD INTEGRATION AND SATELLITE RADIO! KEYLESS REMOTE ENTRY SYSTEM AND KEYLESS REMOTE STARTER! TOW PACKAGE WITH TRAILER HITCH AND OVER DRIVE HAUL MODE! DUAL CLIMATE CONTROL ZONES WITH HEATING AND AIR CONDITIONING! REAR WINDOW DEFROSTER AND REAR WINDOW WIPERS! FULL POWER EQUIPMENT! TINTED PRIVACY WINDOWS! CHROME WHEELS ON FRESH TIRES!